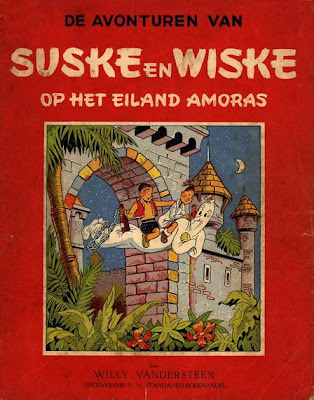 'Suske en Wiske' is a Dutch-language newspaper comics serial from Belgium which had debutted in 1945 and still being run in its home country after more than half a century. The strip, created by Willy Vandersteen (1913-1990), had started on March 30th, 1945 (*) in De Nieuwe Standaard initially as 'Rikki en Wiske', chronicling the adventures of a teenage girl (Wiske) and her brother (Rikki). With the second episode ('Op het eiland Amoras') however, which started on Dec. 19th, 1945, Rikki disappeared and Wiske was joined by a male orphan named Suske and the series was re-titled accordingly. With the next episode ('De sprietatoom'), the teenage duo would be joined by the bald grown-up Lambik, a plummer by profession, who would eventually become the real attraction of the series. The strip would be popular enough to be reprinted in album format from 1946 onwards. In 1948, Hergé, the creater of Tintin, who had launced a weekly comics magazine headlining his character, invited Vandersteen on board for its Dutch-language edition titled Kuifje. From 1950 onwards, Suske & Wiske also began to be serialized in the French-language edition (Tintin) retitled as 'Bob et Bobette'. French-language albums under this title began to be published in 1951. 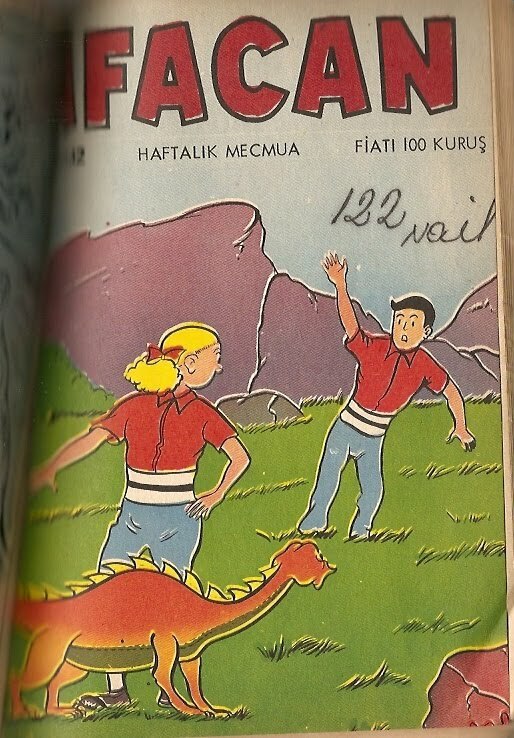 A total of eight 'Suske en Wiske' / 'Bob et Bobette' adventures were serialized in Kuife / Tintin till 1959. 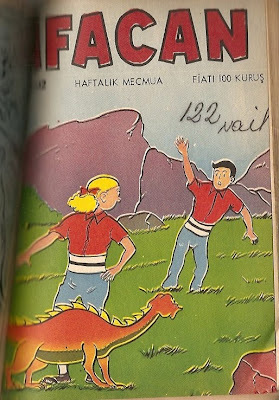 The adventures originally published in Kuife / Tintin were reprinted in albums of blue covers, distinct from newspaper strip reprint albums with red covers. In the early 1970s, Vandersteen would hand over the strip to his assistant Paul Geertz, who ghosted for the creater until 1989 when he finaly began to be officially credited. Geertz handled the series until his retirement in 2001. Do you have any idea on price for a 1937 Mickey Mouse Coloring book? or war flying coloring books 1944?